Do you live in Melrose? 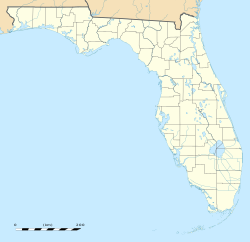 Melrose is an unincorporated community in Alachua, Bradford, Clay, and Putnam counties in the U.S. state of Florida. It lies on State Road 26 approximately 30 km (19 mi) east of Gainesville and approximately 80 km (50 mi) southwest of Jacksonville. Melrose was settled in the second half of the 19th century at the crossing of the Bellamy Road (now State Road 26) and the Starke-Orange Springs Road (now State Road 21), near the Eliam Church and Shakerag race course, and about one mile from the older settlement of Banana. The new town was named Melrose after Melrose Abbey in Melrose, Scotland. It was reported that the ladies of the town did not want it to be known as Shakerag. The town of Melrose included part of the Shakerag race course, but there was no settlement at the Shakerag race course before Melrose was settled, and Tolles states that "[t]o say Melrose used to be called Shake Rag is poetic license." In the late 1800s, the citrus industry thrived in the area. Local growers would bring their yearly harvest to Melrose, where it was loaded onto steam ships in lake Santa Fe. The ships would then steam from lake Santa Fe to Lake Alto, and then Lake Alto to the town of Waldo using man made canals. The citrus was then taken by rail across the United States. Unfortunately, in 1894 two devastating freezes hit the Melrose area and destroyed local groves. Growers then relocated to warmer areas in the central and southern parts of Florida.